Did You See Me in HGTV? 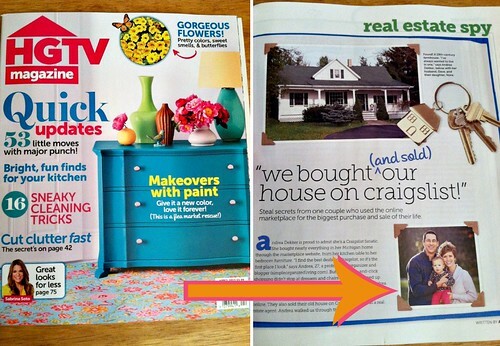 That’s right friends — Dave, Nora, and I were featured in the April 2013 issue of HGTV magazine. 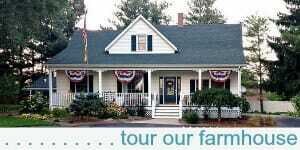 Well actually, our farmhouse was the main feature… but I’ll take the 3-page center spread in a nationally recognized magazine any day! 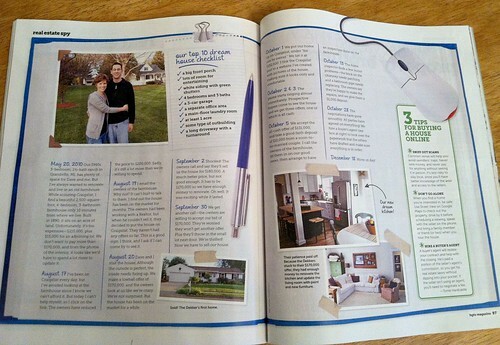 One of the items on my “bucket list” was to some day have our home featured in a magazine. I honestly didn’t think it would ever happen, but still, wouldn’t it be SO cool if it did? Well, it did happen. And it IS so cool! 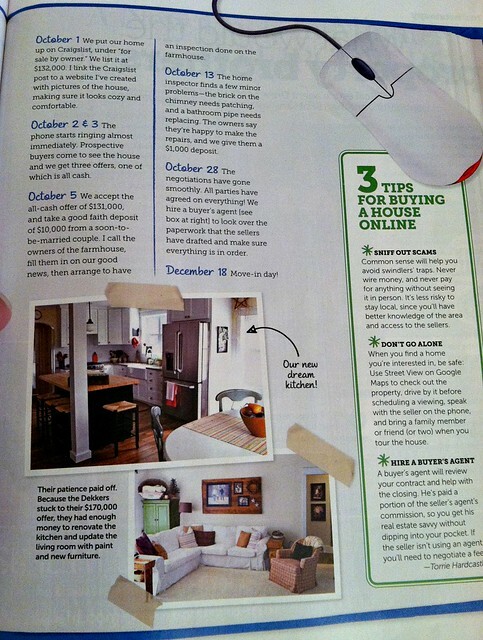 I’m a writer for HGTV magazine. I found you online and wondered if you would like to be in a story? If so, I’d love to talk! I thought it was spam so I almost deleted it. However, right before I clicked “delete” I thought, maybe I better respond… just in case. I responded, and boy am I glad I did! Over the next few months, there were MANY email conversations, phone interviews, pictures, more emails, and then waiting until the April issue hit news stands last week. Since I don’t subscribe to many magazines, I actually had no idea the April issue was available yet — until all of a sudden, my email inbox and Facebook inbox were filled with excited and congratulatory emails from YOU! And lest you think my life is so cool that a magazine wanted to write about me — you should know that the whole point of the article was our farmhouse, and the fact that we both bought our “new” farmhouse and sold our previous house on Craigslist. You all know that I’m basically a “Craigslist junkie” right? After all, I have an entire series devoted to Craigslist on my blog, and almost everything in our home is purchased from Craigslist. 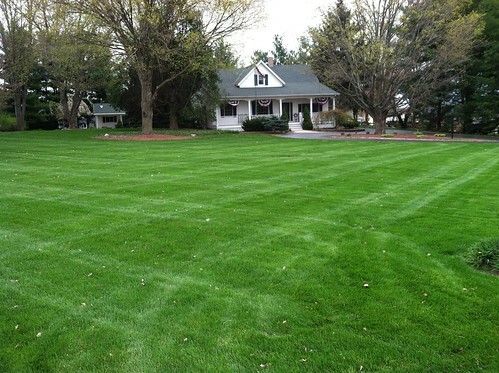 So it really should be no big surprise that we used Craigslist to sell our old house (in only 3 days) after we found our lovely old farmhouse on Craigslist a few months prior. The whole story still gives me goosebumps when I read it, and the magazine writers and editors did a fabulous job of capturing all the little details to make for a super fun story. OK, now for some pictures! Here’s the next 2 pages. Larger view of page 2. Larger view of page 3. It took a while to put this article together, but I’m extremely please with how it turned out. I also have a new-found respect for anyone who works for a big magazine — what a lot of time and energy just for one article. Oh, and just for the heck of it, I thought I’d share a comparison photo of one of the picture they used for the magazine and the actual picture I sent them. The picture I sent was just quickly snapped with my phone as we were getting ready for a walk. I was not expecting them to use this photo — but they did. Do you see how they edited it? Not only did they change up our landscaping, crop out our lovely American Flag, and remove the bunting on our front porch, they also used a key chain overlay to cover Nora! Ha! See how sneaky those graphic designers can be! That’s why you can’t compare your home to the photos in magazines. Anyway, I can’t say enough nice things about the folks at HGTV magazine — the writers I worked with were fabulous and the editor even called me personally to let me know how pleased she was with the final product. So the next time you’re standing in line at the checkout lane, pick up the April issue of HGTV magazine, turn to page 95, and read about our farmhouse! You should have a link to the actual article, so that people could read it. 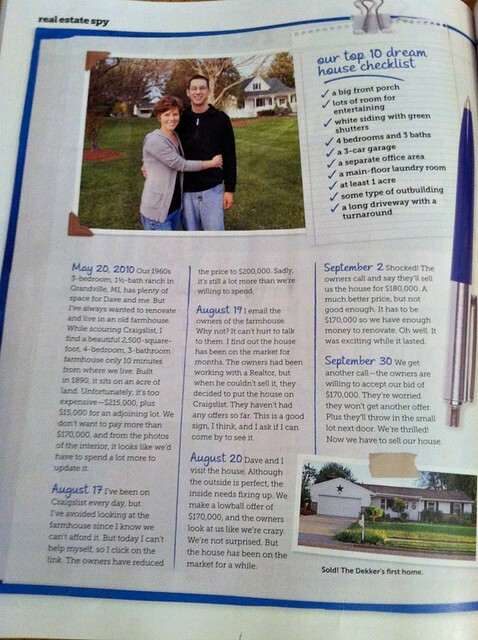 I’m guessing you might not be able to publish it here, since it’s now property of hgtv magazine? 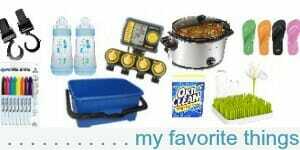 *I’m a fan of Craigslist as well, and have bought and sold lots of stuff on there too. 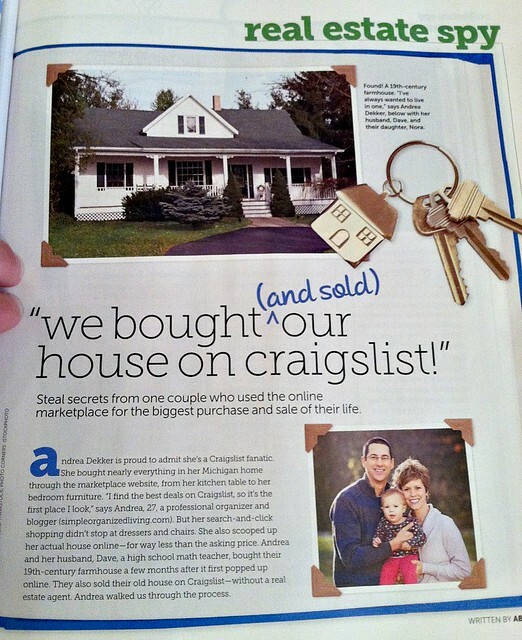 But selling a house on Craigslist – that’s pretty awesome! Love your site! Stumbled upon it with your pizza pasta recipe, and I fuguted we were from the same date based on the Meijer labels in the pics. 😉 Looking forward to reading more! 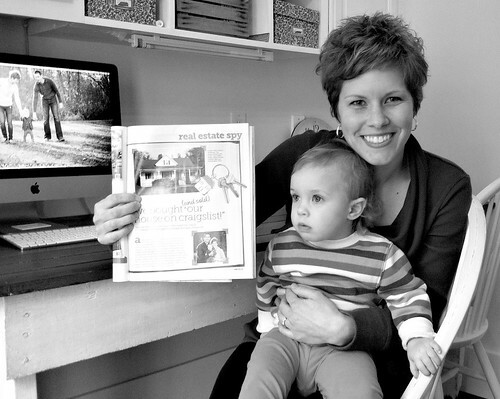 Congratulations on the sale, purchase and being featured in the magazine. Like you we have bought and sold everything on craigs list, even our house! Andrea, how exciting! I don’t usually buy magazines, but I did buy this issue. The story write up and the pictures were well done. Aren’t you glad you can check one more thing on your life bucket list?!! 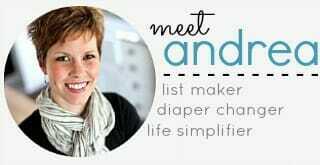 That is truly awesome Andrea – Congrats! You are such an inspiration! What a gorgeous spread! Congrats! Its amazing how much people can edit photos…. What an amazing accomplishment! CONGRATS!!! 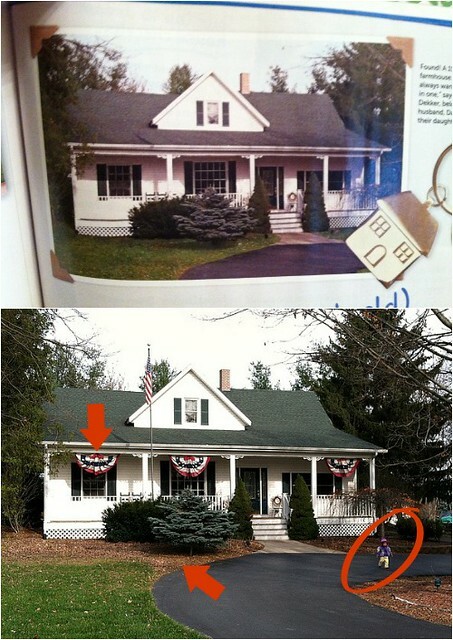 This would be my dream to someday have our farmhouse in a magazine as recognizable as HGTV!!! Your home and your family is beautiful! Congratulations, Andrea!! I’m glad you finally announced this. 🙂 True confession: I’m not as thrifty as you or most of your readers, so I do subscribe to HGTV. In fact, it’s one of my favorites! And it was SO COOL to turn the page and see YOU right there! I love your house story. So meant-to-be. How fun! Thanks for posting the whole article. I’m not sure I would ever make it to look at it in the store. Oh wow!!!! How did you manage to keep this a secret all these months?! I never would have been able to contain my excitement! That is sooooooo cool! Funny thing is,I went to Nordstrom Rack yesterday and next door is a Barnes & Noble so I took a minute to check out some magazines. The HGTV magazine was the only one I picked up, but then I realized my meter was about to expire so I didn’t take the time to look through it. Dang! Well done! I might have to check out this mag, which I never knew existed before reading your article. The comparison pics of what you took and what they printed was an eye opener. I need to keep that in mind more often as I look at pics. Congrats! How very exciting for you guys! I haven’t seen the issue yet, but I definitely will now! This is so fun!! Congratulations!! It was just a matter of time, Andrea! My husband and I followed your instructions for listing on Craig’s List with great success. Thanks for your help, suggestions, and daily inspiration. You’re the best!! Congrats. Just finished the article. 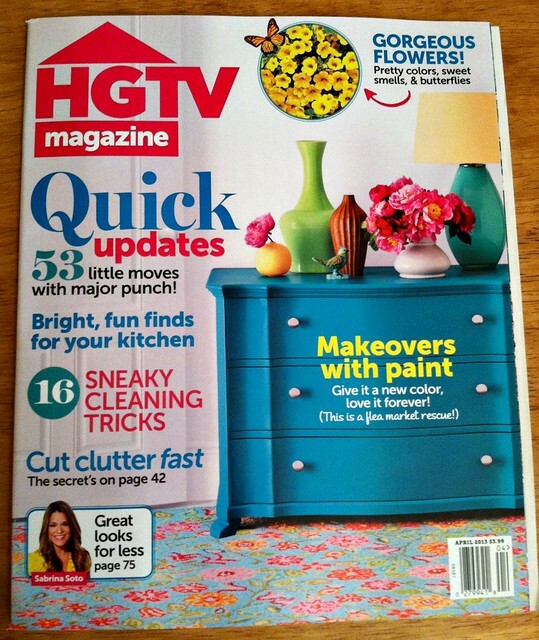 I subscribe to HGTV mag. Great article!!! I read the article the other night. (I subscribe to the digital version – I love HGTV). I was so shocked when I turned the page and saw the article. I thought, oh I know her! Congrats, Andrea! Very excellent way of crossing an item off your bucket list! What a great article! Interesting about the photo’s being edited! Noticed that they didn’t edit out the flagpole’s shadow on the roof! LOL!! That is so exciting! As a former print reporter I can tell you A LOT of work, time and effort goes into each article. Congratulations! That’s a fantastic feature Andrea! Very informative too. Congratulations! Congratulations! You have a beautiful home and it deserves to be in a magazine! Congratulations! Your home looks amazing. I actually bought the magazine after I saw you post this on facebook. I haven’t bought a magazine in a store in years, but when I looked through it in the grocery store it really looks like a cool home decor magazine. We’re getting ready to re-paint our home (it’s been 10 years, so it needs spruced up) and I got quite a few ideas. I might even subscribe.